Suffolk has many attractions all year round, but the wide skies and long beaches make it the ideal summer destination for those seeking relaxation, fresh air and sun. One of our favorite days out is to visit the coast. We travel the country route from here at Upthorpe Lodges, via Harleston and Halesworth, to Walberswick at the mouth of the river Blyth. 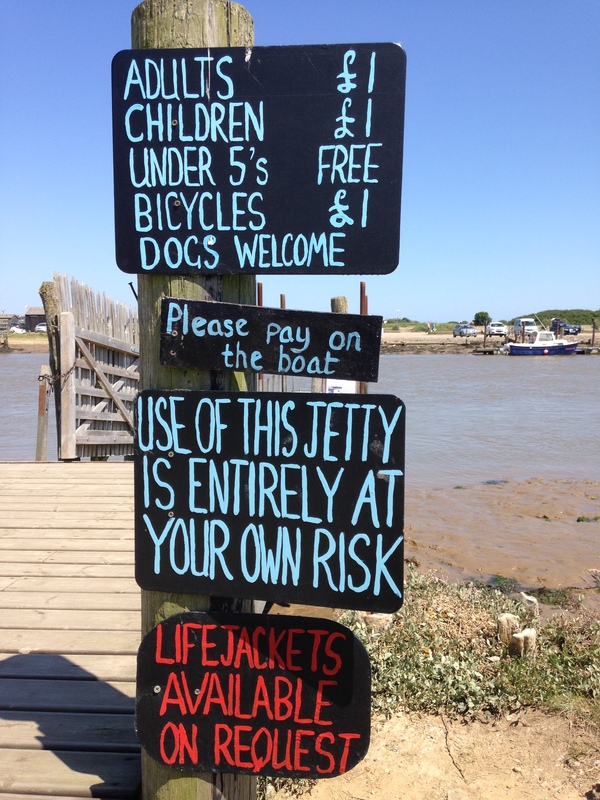 Walberswick is a charming seaside village overlooking a small fishing harbour and sand dunes to the east. Traditional country cottages decked with roses and honeysuckles sit close to the main street leading to the beach, and for those wishing to linger there’s a couple of pubs and two or three cafes. Southwold ferry crosses the Blyth between Southwold and Walberswick. But for us, Walberswick is the starting and finishing point for a varied and interesting walk which includes a ferry crossing by rowing boat. Upon disembarking we head for the beach at the south end of Southwold. Avoiding the temptation to purchase some freshly caught seafood from the fisherman’s huts on the river bank, we head for the beach. The beach itself is a nice mixture of sand and pebbles, but this approach provides a constantly changing view of the town. The colorful beach huts and its stylishly refurbished long pier are images replicated in the galleries both here and along the coast. There’s plenty of choice for lunch venues and this time we’ve chosen Coaster’s cafe where the food is delicious. Suffolk has some well-known brewers and it may not escape your notice that Southwold is home to Adnams. There’s a good range of Adnam’s pubs serving food all day, but you’ll also find Greene King and Aspalls are served in the town too. After a welcome rest from having walked part of the journey seeking shells on the beach, we wind our way back to the cliff tops passing old canons and close-up views of the lighthouse along the way. The pier is a popular visitor attraction which has all that you might expect but with a touch of style. 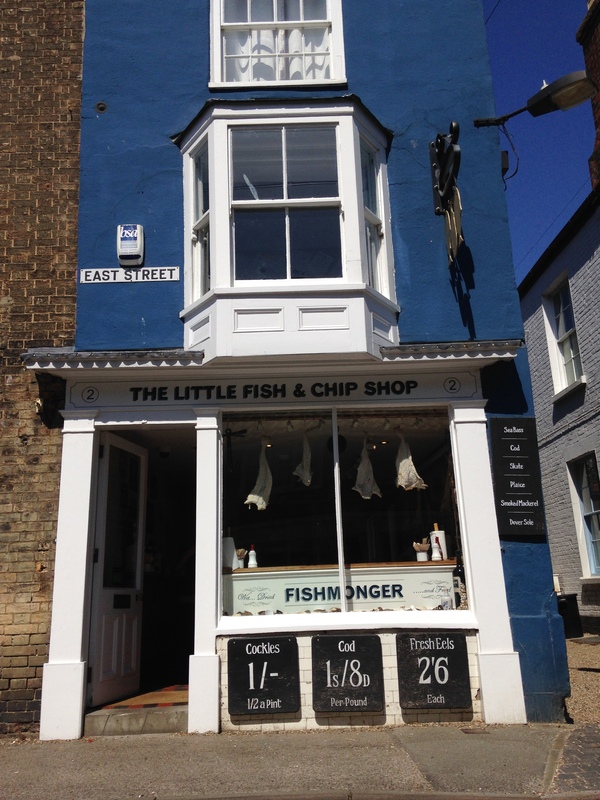 We enjoyed fresh fish from the Suffolk coast. Just beyond the pier to the north, and we are guided by a footpath sign which leads us inland along a raised bank set amongst marshland and reedbeds. We’re delighted to see Reed Buntings and Herons plus some attractive cattle making use of the lush grass. We soon round the town and catch sight of the harbour once again. Alas we’re too late to catch some fresh fish so we take the foot bridge across the Blyth this time and for a short distance we follow the path which was once the railway route, before veering towards Walberswick church where our car is parked. A summer treat for sure.